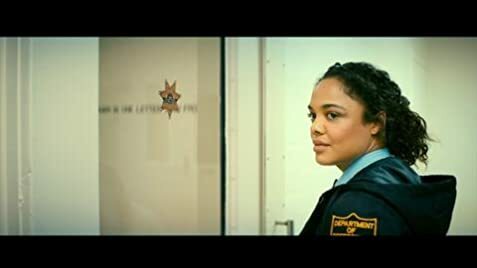 Tessa Thompson and Melissa Leo are great but this film is not. Trying to be a female Midnight Run for these times but pretty much nothing working except the performances of the lead actresses. The script is bland and a lot annoying at places and the comedy that is supposed to be working is outdated and boring. Then there is the ending where suddenly Thompson's character change a lot in her life without having any big realizations in the journey or consequences of applying it which is simply baffling that this could have been part of a student script that never got made because it shouldn't be. Lala Anthony who plays Nicole's sister Brandy, brings her husband and son to visit for their Mom's birthday. Brandy's son is played by Lala's real life son Kiyan Anthony.